At a time of rising protectionism, there are ways in which companies engaged in global trade can legally bypass increasingly restrictive policies. In fact, for over 100 years, international traders have been following legitimate rules to obtain favourable tariff treatment. With a slow-burning trade war now fuelling anti-globalisation sentiment, GTR speaks to Robert Silverman, partner at law firm Grunfeld Desiderio Lebowitz Silverman & Klestadt and a member of IR Global, about the opportunities available in global customs and trade laws to minimise the impact of new tariffs and quotas. 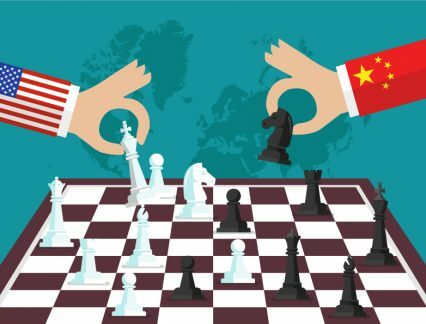 The escalating tariff war is already having a very tangible impact on businesses and financiers around the world. Results of an HSBC Navigator survey, which incorporates the views of more than 6,000 businesses across 26 countries and was published in Q1, found that 61% of companies think that governments are becoming more protective of their domestic economies. The survey reported that, as a result, companies are focusing on trading with partners within their own geographic region rather than exploring opportunities further afield. But there are “self-help” techniques that companies can adopt to ensure ongoing profitability in trade, says Silverman. In this exclusive Q&A, he explains how firms can mitigate trade barriers via commercial contracts and take advantage of free trade zones when agreeing contracts, and why it’s important to understanding import/export regulations across jurisdictions. GTR: Is the world economy becoming more protectionist? Silverman: Not really. Sovereign nations have always protected certain ‘sweetheart’ business sectors with high duty rates or quotas to permit those industries to flourish without interference from foreign producers. Over the years we have seen a trend for countries to enter into free trade agreements to reduce customs duties on products that have not been blessed with protection. In the past year, however, the US administration has imposed additional customs duties and quotas to rectify what it claims to be unfair trade practices by Chinese exporters and flooded steel and aluminium markets from most of the US’ trading partners. President Donald Trump’s theory is that additional duties or quotas can be used to boost US production of certain products, and eliminate unfair behaviour by its trading partners. In addition, the US department of commerce has created a domestic producer-friendly market which has encouraged a plethora of antidumping duty (ADD) and countervailing duty (CVD) cases which have also taken a large bite out of the profits of importers of certain products. We don’t see this type of activity by other countries, except that they are passing retaliatory tariffs to strike back at the ever-growing list of US-protected companies. GTR: Is there anything that an international trader can do to avoid these new protectionist policies? Structuring products to obtain favourable classifications. All products have to be classified under a tariff provision upon entry. Each tariff provision has its own duty rate. A favourable classification may result in products that are duty free, quota free, outside the scope of some recently imposed exorbitant duty rate, or outside the scope of some huge ADD or CVD rates (which can sometimes be over 100%). Structuring purchase transactions to lower dutiable value. That is, if you are stuck with a high duty rate, you can try to lower dutiable value by unbundling any additional non-dutiable elements included in the purchase price. Or you can try to have dutiable value be based on the factory price rather than the higher trading company price. Alternatively, you can have the manufacturer act as the importer of record to get lower values. Most duty rates are expressed as a percentage of value so lower values result in the payment of less duties. Change country of origin to achieve favourable duty treatment. Obviously you can always source goods from a country that can receive favourable duty rates or that makes them eligible for a duty-free programme. For example, if there is an ADD case on tyres from China, then sourcing the goods from Vietnam will do the trick. Alternatively, you can shift some of the manufacturing processes from China to Vietnam so that the country of origin will be considered to be Vietnam. Shifting some of the manufacturing processes can be tricky and must meet the import country origin rules. In the US and China, for example, the test is called ‘substantial transformation’, but the application of the test is totally different in both countries. GTR: Are these manoeuvres legal? Silverman: Absolutely. These programmes have been used by international traders for over 100 years to obtain favourable tariff treatment. Pearl necklaces have been unstrung before importation and re-strung after importation. Passenger cars have been imported at very low duty rates and transformed after entry into trucks which would otherwise have been subjected to duty rates 10 times higher. The customs services around the world may not like it, but if the rules are followed, and proper declarations are made, there is nothing they can do about it. And the same tactics work for avoiding ADD or CVD assessments. GTR: What other programmes are available to minimise duties? Silverman: Different countries permit importers to use bonded warehouses to store goods until they are needed, without the payment of any duties or fees. Foreign trade zones can be used in the country of importation to create products that can be imported at significantly lower duty rates. In the US, there is a new programme where goods sold in e-commerce can be imported totally duty free. There are always things to do if you are willing to invest the time to search for them. GTR: Do these measures come with any risks? Silverman: Yes. If the programme is not set up correctly or the proper disclosures are not made, then the importer can be subject to audits, investigations, civil and even criminal penalties. These are not programmes that you can do by intuition or by ‘figuring them out’. You need to work with a trade professional to make the magic happen. There are a number of attorneys, accountants and consultants who work with international traders to take advantage of the hidden gems that the customs and trade laws have to offer.